Very pleased with the prompt and complete service. Auto scheduling and summary reports are appreciated. All service people have been informative and helpful. I've been with Home Paramount for 17 years since moving to Loudoun County. We've enjoyed great and dependable service without that hassle of constant sales calls like we've seen from our neighbors lawn care service providers. We have had a Home Paramount contract for a number of years. When we had ant problems that nobody else could get rid of, Home Paramount came in and completely got rid of the problem. We moved about six months ago and I made sure that Home Paramount stayed on our contract. We noticed the difference since the first visit, at the bogging we have a lot roaches, but now we don’t have any more. People are very friendly and professional definitely I highly recommend Home paramount for bugs problem s.
Home Paramount was fast and very efficient to our needs. I highly recommend Home Paramount. We have received good service. Warren helped us avoid complications from mold in the attic and crawlspace and roaches in the kitchen. Doug takes care of termite control and informed us of flea and tick control services all of which are important as we live in the woods with three beautiful sheltie dogs. I was impressed by the overall service from the Technician. We had a yellow jacket problem in our house and they were prompt with sending someone out to service the problem. If you live in the Reston area, I would highly recommend asking for Butch. If we ever have any pest issues in the future, I would not hesitate to call them again. I'm happy because Butch does an amazing job. I'm not so happy with scheduling errors. Service is very professionally performed and keeps our house pest free. Always timely and always solving all our problems. They come fast whenever I need them! I wasn't aware that they would be coming, since all the rainy days we have had. Happened to see him pass the window on the deck. All that was done was spray around the house for the termites. I have been using Home paramount for years. Happy with their technicians and customer service staff. They call ahead and are timely and efficient. We are happy at this time. Home Paramount is very responsive when I have a problem; service technicians are knowledgeable and courteous. Thank you! Appreciate Paramount's prompt, efficient, and courteous service which makes managing 21,000 sq. ft. of commercial space much easier. 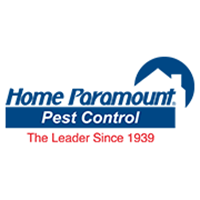 Home Paramount always comes out as scheduled and does a great job with all our pest control needs. No issues with any pests so far. We are more than satisfied with our service. Your receipts say that you are spraying for ants. I hope you are spraying for other insects and bugs also for example carpenter bees. Home Paramount is exactly what my wife and I wanted for pest control. I decline to write a review even tho I'm a happy camper. Lonnie did a great job. But its too bad no one put 2 and 2 together to understand that we in the condo were bringing bugs to the clubhouse in Feb and Mar while the heat and spraying treatments were ongoing and not successful. The clubhouse and condo management as well as you and myself did not make the connection. We were all very frustrated! All is well now , I hope. I hope a name here is not necessary. Technicians always are professional in their work. I’m still a little concerned that it costs $200 to come out once a year to check my termite bait system especially since the person who installed it said the price had been $100 and had just doubled. Can you explain for 100% raise in cost? I’ve been s customer forever.